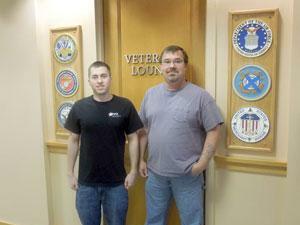 The Office of Military and Veteran Services supports our veteran students and the Veterans Lounge. Created in April of 2010, the newly furnished lounge serves as a space for studying and for recreation. 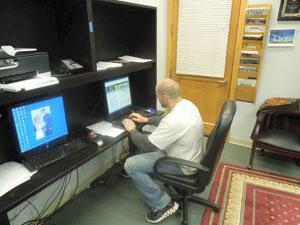 Recently added to the lounge is a computer room with four computers and a printer. The lounge also has a television, DVD player, microwave and a refrigerator that are available to student-veterans to utilize during breaks between classes. The Veteran Lounge is also a great place to meet other veteran students and find out about the programs and activities of our Students Veteran Organization (SVO). The Veteran Lounge represents a commitment by our college to assist our veteran students through the transition of acclimating into campus life. 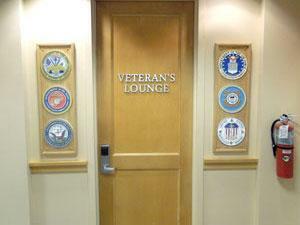 The Veteran Lounge is located in F-wing corridor next to the Office of Military and Veteran Services.